A portfolio is a collection of projects. It is also an excellent way to show your work to clients and prospects. SpicePress features filterable projects. 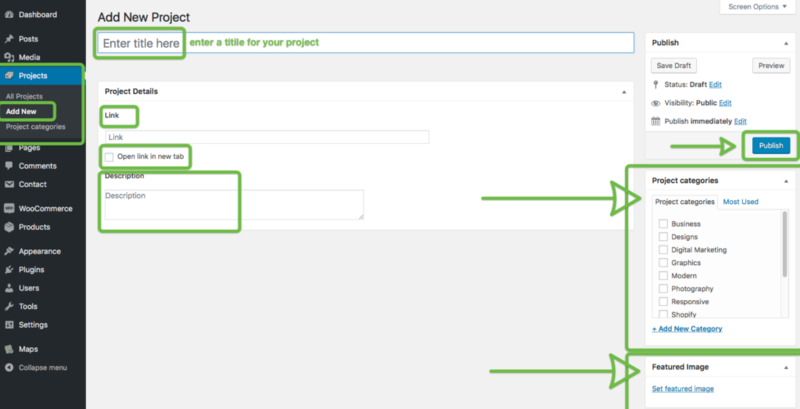 This means that you can categorize the projects and allow your users to filter their view according to these categories. You can also choose the layout that best fits your requirements and that you find most appealing between three types of Portfolio templates: 2 column, 3 column, and 4 column. To create the categorized portfolio, you need to start by creating your project categories. 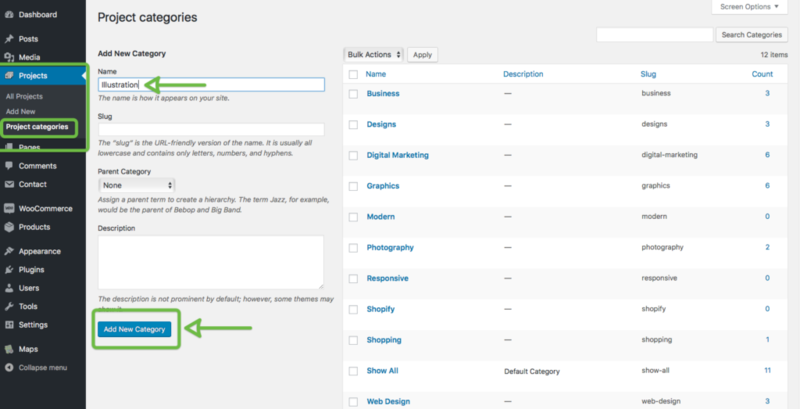 These will display as filter tabs and allow your viewers to see your projects filtered by specific categories. Now select the category/categories for your project.